Visit The Orange Beach Islands! Orange Beach, Alabama is one of the fastest growing vacation destinations in the world. Scenic beaches make for premium fun in the sun, and a growing tourist industry offers family-friendly tours, attractions, and dining! Orange Beach Islands include Bird Island, Robinson Island, Gilchrist Island, and Walker Island. 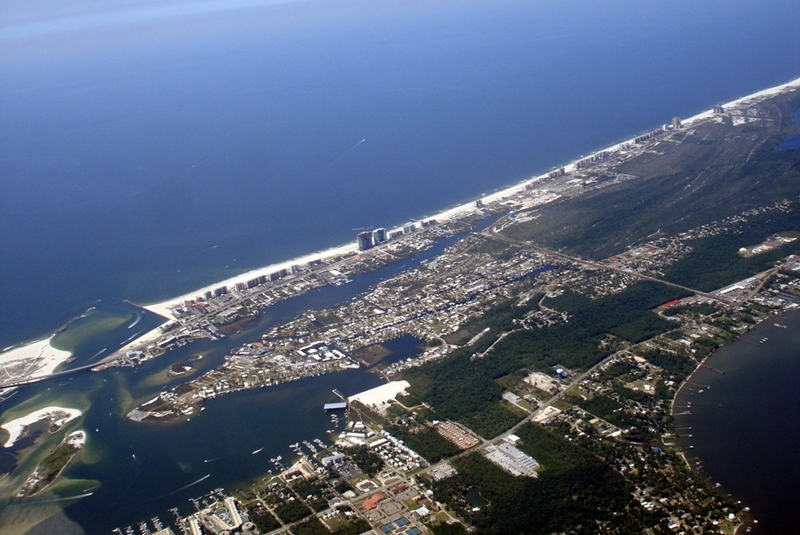 Discover what each of these Orange Beach Islands has to offer online! What Are The Orange Beach Islands? The Orange Beach Islands are a series of islands located in Perdido Pass in Orange Beach, Alabama. Bird Island, Robinson Island, Gilchrist Island, and Walker Island are all located within short proximity to eachother and are accessible by watercraft. Although Perdido Pass is known for exceptional watersports, the Orange Beach islands aren't only a place for watersports and beach lounging! All 4 Islands provide sanctuary to sea birds, marine mammals, and a host of coastal plant life! The islands of Orange Beach, Alabama are accessible by watercraft. Whether it be a paddleboard or waverunner, the Orange Beach islands are easy to get to and fun to explore. Leave from one of many locations in Orange Beach including the Wharf or Bear Point Marina to embark into the Perdido Pass on your way to the Islands. Where Can I Stay in Orange Beach? 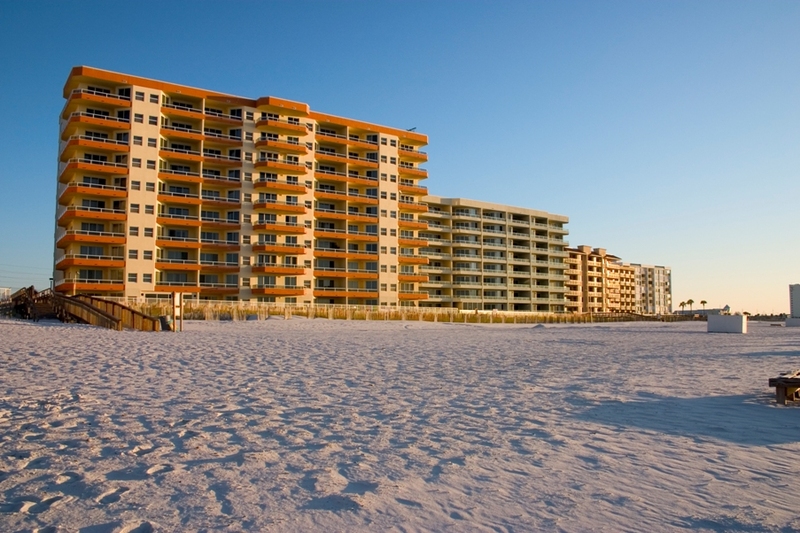 Orange Beach and Gulf Shores, Alabama offer premier lodging on and off the beach. Stay in the Wharf, a popular waterside destination, or post-up at a beachfront resort for a vacation spent lounging in the sun! From jet ski rentals to inshore bay fishing, The Orange Beach islands offer some of the top water activities on the Gulf Coast! Check out one of the following featured tours at the Orange Beach Islands! 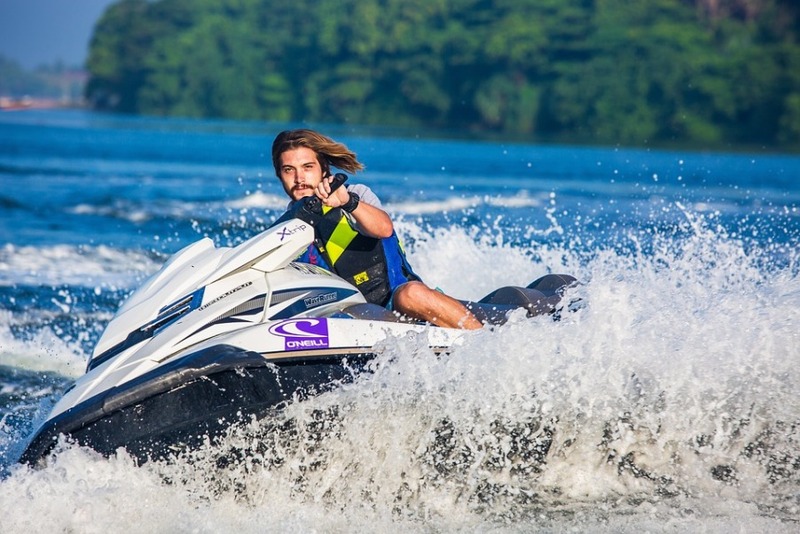 Rent a waverunner with Alabama Extreme Watersports in Orange Beach, AL for a high-speed adventure through the Orange Beach Islands! Book online now for best rates this spring and summer! Find rates for Orange Beach Waverunner Rentals online. Take a joy-ride through the Orange Beach islands on a relaxing dolphin tour! See the sights and search for dolphins aboard one of Orange Beach's top dolphin cruise vessels! Learn about Orange Beach Dolphin Tours online. Waverunner Dolphin Tours search for dolphins and other marine life throughout the waters of the Orange Beach Islands. Find low rates for an Orange Beach Waverunner Tour online.